Ever have that moment when everything is going just right? You're sitting with a smile on your face because you just finished your daughter's cookies and she's going to think you're totally awesome. Then your husband comes along and says something to totally jack up the moment! Yeah, me too. Men do this a lot! It's not really their fault. I think when God made men, he gave women a piece of their brain and not a rib. They don't think sometimes. That was his moment to shine.....to say how awesome they looked....to say I was the best mom ever....anything. He looked at me, not knowing he was about to meet his untimely death and asks, "Can you name all of Santa's reindeer?" SERIOUSLY??? 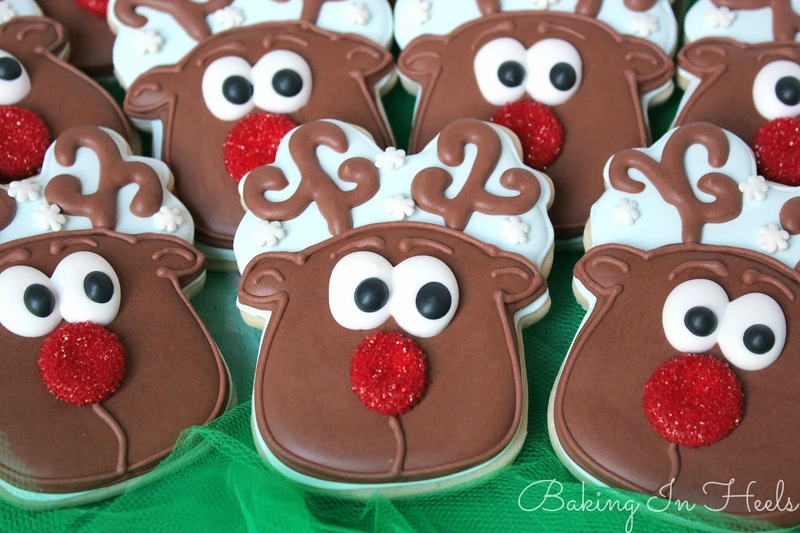 Name the reindeer? I don't even remember how many the big jolly man has, much less name them all. I can't even call my children by the right name. Sometimes husband's just shouldn't speak. 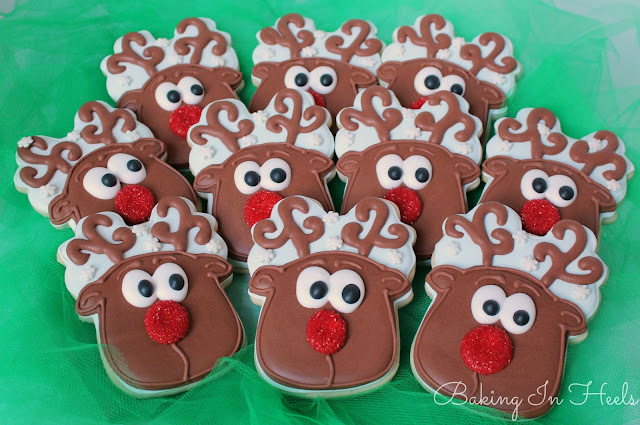 Just in case you need to know....there are Nine.....Dasher, Dancer, Prancer, Vixen, Comet, Cupid, Donner, Blitzen, and we all know the most famous reindeer of all..... RUDOLPH! These cookies were sort of an accident. My school bus cookie cutter (Designed by Callye, of Sweet Sugarbelle) was just sitting on my desk....UPSIDE DOWN. All I saw was Rudolph. I even wondered where the heck did I get a reindeer face cutter. DUH, it's a school bus. Sometimes accidents are a good thing. 2. Fill cookie with light blue flood consistency icing and allow to dry for a few hours. 3. 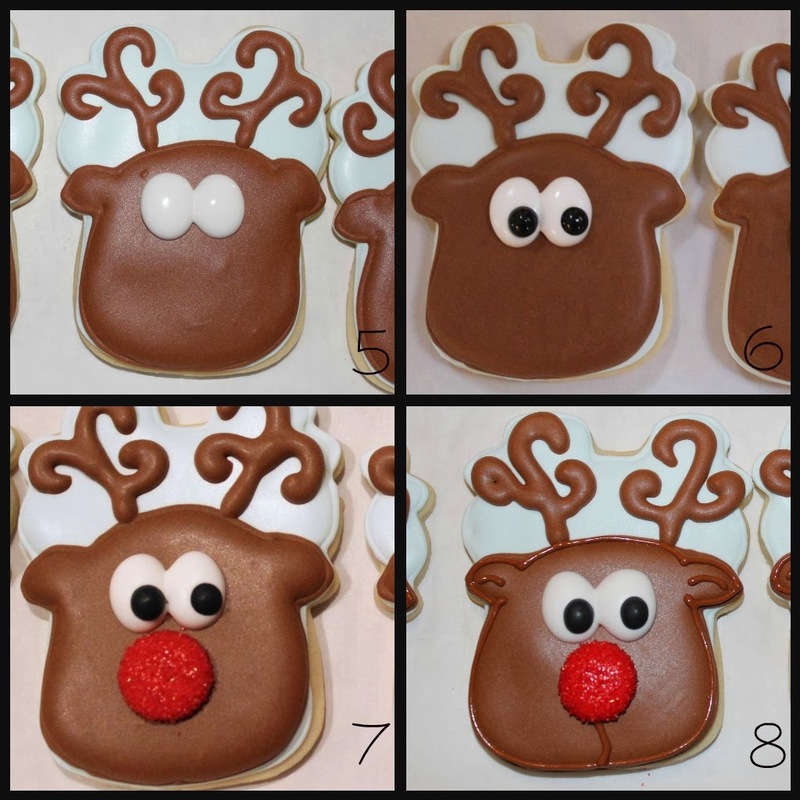 With brown piping icing and a #2 tip, outline Rudolph's head. Then fill with brown flood consistency icing. Let dry for an hour or so. 4. For his antlers I used the brown flood consistency icing that I had in the icing bottle. (I flood with icing on the thicker side). Outline antlers. 5. 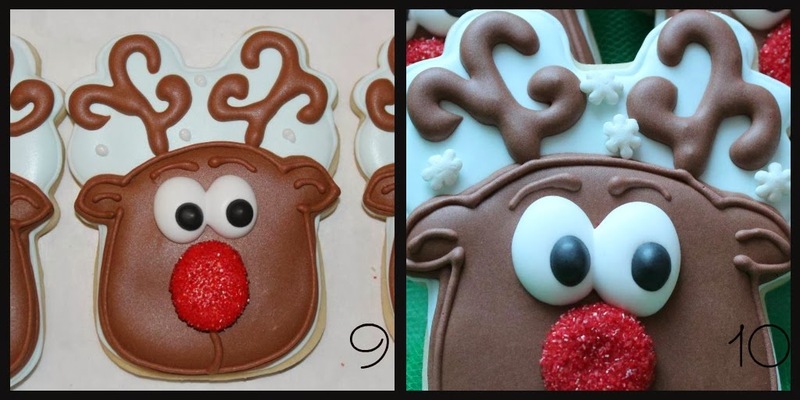 With white (thickish flood consistency) icing pipe on one eye on each cookie. Then come back to add a second eye. This will keep them from running into one blob of white. 6. While the eyes are still wet add a dot of black icing on the eyes. (Same consistency as the white) Let eyes dry. 9. With white piping icing add dots where you want snowflake sprinkles. My baby boy turned 5 months old Monday! The months are flying by and he's doing all sorts of new things. He can roll over, he has two teeth, I have five new grey hairs, and the doctor started him on fruits and veggies. He LOVES to eat. I can't wait until he's walking around dragging toys behind him. 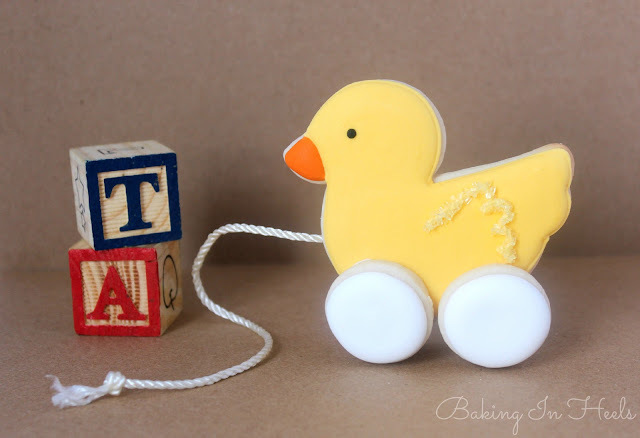 Remember the old duck pull toy? Old toys are the best. 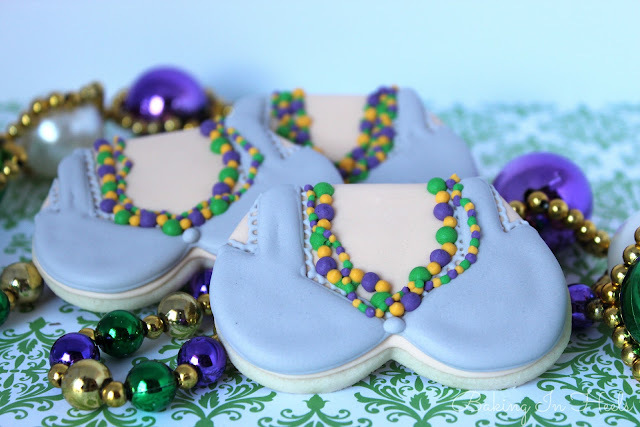 They were plain and simple, just like these cookies. These cookies look cute yet there wasn't much decorating to be done. They were really easy to make. Outline and fill small circle cookies and allow to dry. You will need four for each duck. These will be the wheels for the duck toy. Outline and fill duck cookie with yellow royal icing. Allow to dry several hours. Outline and fill duck bill with orange royal icing. Add a black dot of icing with a #1 tip and black royal icing. Add some squiggly lines for duck feathers. While the feathers are still wet, sprinkle with some yellow sprinkles or sanding sugar. Let dry then shake off excess sprinkles. Add a dab of thickish royal icing. You can use yellow. I used white...it's what I had left over. Here's where it gets all fancy. Get a piece of aluminum foil and scrunch it up. Place it along side the cookie. This will hold the end of the circle cookie upright. Place circle cookie on top of the foil and dab of icing. Do this for both wheels. Allow to dry overnight. After the cookie has dried overnight, flip it over and add two wheels to other side. Place aluminum foil between the two wheels while it dries. Let dry about 6 hours. Add a dab of thickish white icing on the back of cookie to hold pull string. Use a boo boo stick to push the string down into the icing. Allow to dry. 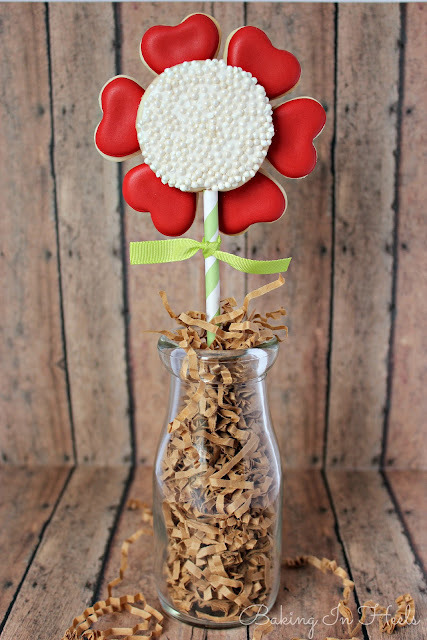 These would be great for a baby shower or a baby's first birthday party. They would even be cute decorated in pink or blue! Hope everyone had a great week. We have lots of changes going on in our house this week. I'm still working on a schedule so I can bake, blog and take care of the family without draining myself of all available energy and brain cells. When do y'all do your baking and blogging? Are you a late night blogger or do you get it all done over the weekend? Yesterday, I'm in Walmart getting some deli meat with my Starbucks coffee sitting in my basket, shopping cart....whatever y'all wanna call it. I pick the cup up and.... SMOOSH.....it completely caves in sending hot coffee all over the front of my white shirt. I quickly grab my sliced turkey and head to the women's clothing department. They have such great selections (not), I wanted to buy a shirt and go change in the bathroom. So I grab a Minnie Mouse shirt and head for the check out line. Wouldn't ya know the lines were very long. Last minute Valentine's day shoppers. I know, I'll check out in the jewelry department. So I walk up and ask if I can make my purchase here. The lady says....sure, I'll be a minute I have to finish emptying this box....ummm seriously. So I wait for what seems like an eternity and finally she comes to ring me up. Ummmm let me see......hot coffee.....spilled down my entire shirt.....Yes it hurt....DUH. So my quick Walmart run was not so quick and a huge disaster. I made up for it later by drowning myself in Oreo balls. Have you ever had an Oreo ball???? They really are amazing......and a quick, non-disastrous desert. Place crushed oreos and cream cheese in a mixing bowl or in your stand mixer. My Kitchen Aid bowl was dirty and I was too lazy to wash it.....hey, it happens. Give these beaters full of gooey goodness to your cute child or eat yourself. If this is for yourself, turn off mixer first. Take 1 Tbsp and roll into a ball with your hands. Place on a cookie sheet lined with parchment paper. Place them in the fridge for an hour. If you're in a hurry you can place in the freezer for about ten minutes. When you are ready to take them out, melt the almond bark in a microwave safe bowl. I do this 30 seconds at a time, mix, then reheat until completely melted. Take Oreo balls out of the fridge/freezer and place one into the melted bark. Pick up with a fork and tap to shake off excess. Place in a bowl of sprinkles. 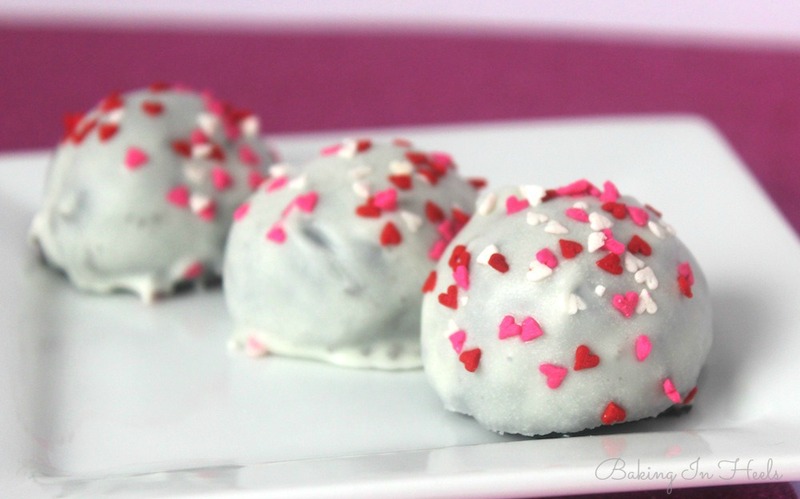 Don't worry about covering the top that is showing....that will be the bottom of your Oreo ball. 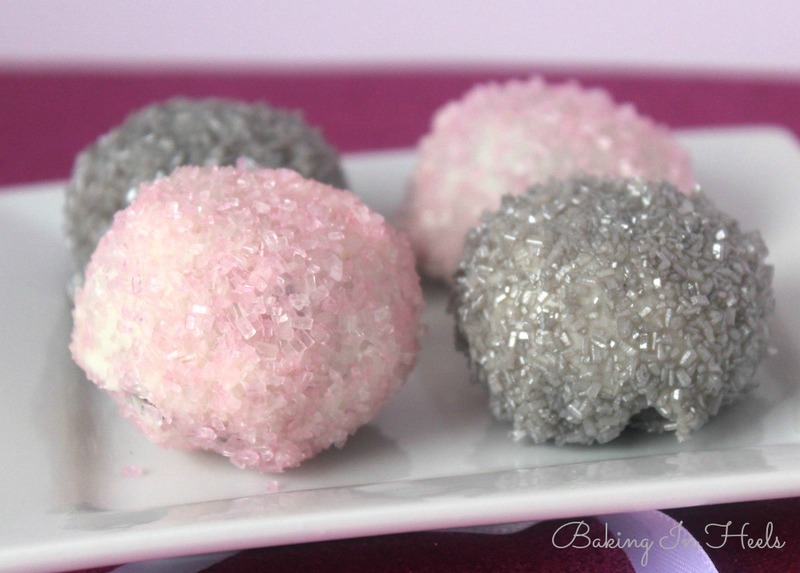 You need to cover with the sprinkles quickly because the almond bark hardens fast with the Oreo ball being cold. Place on parchment paper. Keep in the fridge until serving. You can add tiny heart sprinkles as an alternative. These little heart sprinkles were sent to me in an order from Karen's Cookies. Hope everyone is having a fabulous week! hmmmm, how can I put this...........oh let's just skip to the chase. 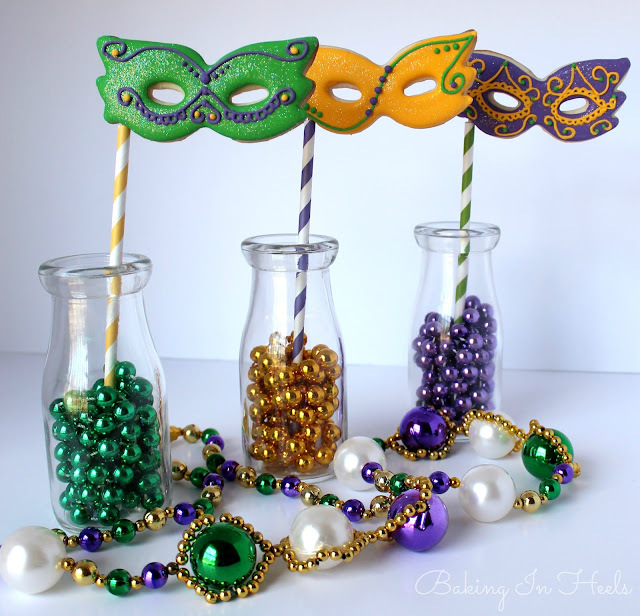 You show the Ta Ta's you get more beads. This is one of the few places you can get away with pulling out the girls. Hey, I don't judge. The good Lord knows I've showed mine enough back in the day for some silly beads. These days the girls are nothing to show...... just keeping it real. I've nursed a few babies. Tomorrow is Mardi Gras and I thought I'd make you some Mardi Gras inspired cookies. After all....it's about the beads. This is a kid friendly blog so I gave my girl a top. If you want a more naughty version, you could totally do the entire cookie flesh colored and give her some Ta Ta's. 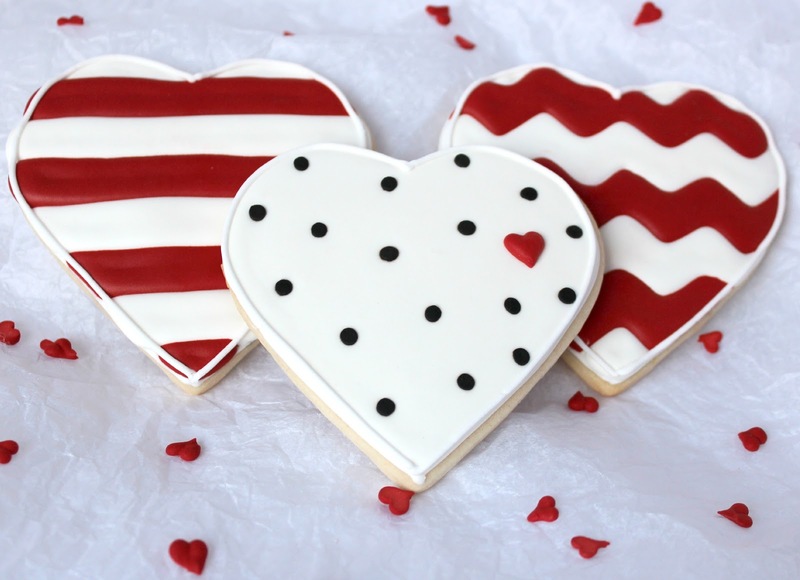 Cut out heart shaped cookies and simply cut off the top. Then bake. Using flesh colored icing outline and fill cookie. Let dry completely (about 6 hours). With grey icing outline and fill. Allow to dry several hours. With a 1.5 PME tip add a scalloped edge. Allow to dry. 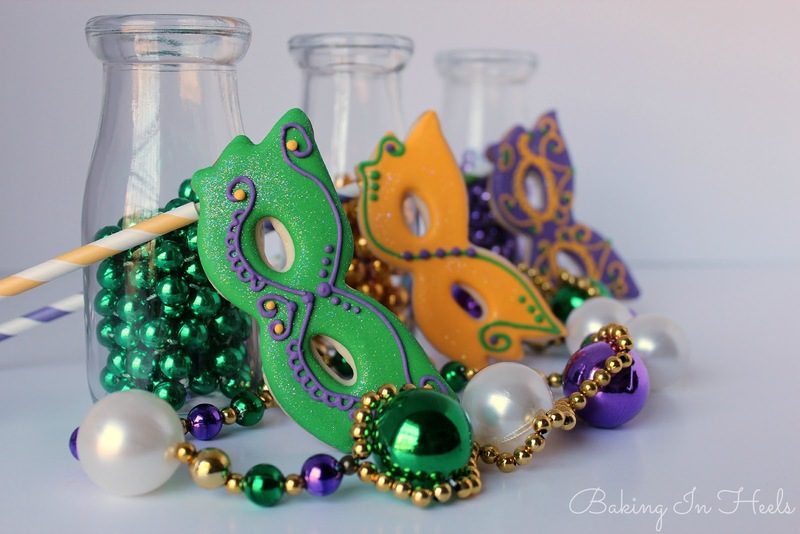 With green, purple and yellow royal icing, add bead necklaces. Start with one color and leave the spaces for the others. Let dry about 30 minutes before adding next color. I started with one necklace and after it was completely finished and dry I added another necklace. Ever wanted to teach your husband a lesson? Is it just me, or does it seem anytime you need help with the kids, your husband has to go to the bathroom? And he's in there FOREVER! Yep....my life in a nut shell. Cooking dinner....baby crying.....kids needing the potty....ya know one of those HEEEELP ME moments. The moment's you say "Honey please help me." Every single time I have one of those moments. He just happens to need a bathroom visit. Well NO MORE!!! Yesterday I was going to teach him a little lesson. Hubby lets me know the baby's crying....the toddler's full of spaghetti and needed to be wiped down....the works. Apparently he had FB games to attend to and was busy at that moment. Who knows? So I say in my sweetest princess voice...."Could you get it baby. I really need to go to the bathroom.......too much coffee". You know....so he'll know I'm gonna be a while. For the record I did NOT have to use the bathroom. I'm a girl....we don't do those two hour bathroom things....unless we're in there applying makeup, but we'll talk about that another day. So I'm in the bathroom just sitting....and listening. Now as a mother this is not an easy thing to do. We all know he is NOT going to do things right. The baby is going to cry a minute before he moves from his FB game or the episode of Duck Dynasty that he's seen twelve times. Mommies, this is not easy to endure. HOWEVER, I managed to sit there admiring my make up collection and think of new shoes that I surely needed. I sneak out and tip toe around the hall corner to see what sort of madness must be going on. Ya know, with him in charge and all. Wanna know what I see? I see him napping on the sofa. The baby playing in his activity toy and the two girls sitting on the sofa quietly watching The Lorax. There goes my theory of teaching him a lesson. Guess the jokes on me.....or maybe NOT. My new afternoon thing is going to be having quiet time in the bathroom while he takes over.....Guess the Jokes on him. Now I just have to find a way to transform my bathroom into a fancy schmancy relaxing place.....sofas and all. Hmmm I may be on to something. Now that you're aware that my husband handled things better than me, lets make some cookies. Start with a circle cookie cookie pop. Just roll out your dough, cut out shape, stick in the freezer for 2-3 minutes then insert the stick. Bake according to your recipe. Need a good cookie recipe? You can get mine here. Outline cookie using a #2 tip and white royal icing. Fill cookie with white flood icing. 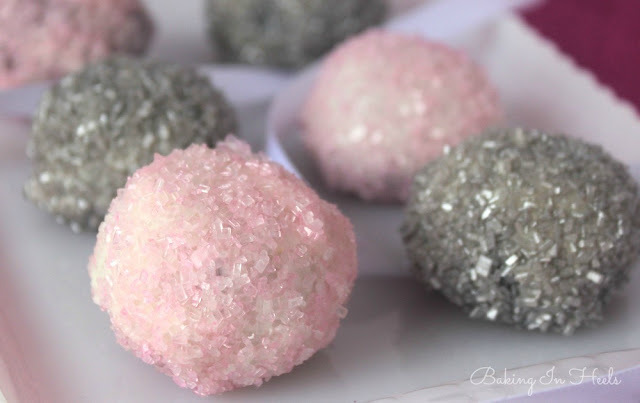 While icing is wet, sprinkle with white nonpareils . Allow to dry. Fill hearts with red flood icing. Let cookies dry overnight. Arrange heart cookies in a circle and add a dab of thickish white icing to each one. Place circle cookie on top of the heart petals. Allow to dry completely. **For added cuteness, slip a stripey straw over the white stick. Tie a green ribbon around straw for a leaf. This would make a perfect Valentine's Day gift for a teacher. Hope your week is going good and you're getting lots of baking done! Ok I have a confession. I know..... Confessions are supposed to be coming from the Cookbook Queen, but something just occurred to me when I designed these cookies. I'VE NEVER MADE COOKIE POPS!!!!! I know, weird right? Who would have guessed it. They weren't very hard either. I thought they were going to be a huge pain but they weren't. 1.Roll out your dough and cut out mask shapes. I used this Mardi Gras mask cutter. 2.Place mask on cookie sheet and pop into freezer for 2-3 minutes. This is the key! 3.Remove cookie sheet from freezer and insert stick. I gave it a little twist as I was pushing it into the dough. 4. Bake cookies according to your recipe's directions. 6. Slip stick into a stripey straw for extra cuteness. I hope everyone is having a fabulous week and trying new things. I did not get as much done this weekend as I would have liked to. Did you? Who ever does right? I had plans of doing lots of photo editing on Saturday, but that didn't happen. I did have good reason though. See, we have a transformer in our front yard. You know those big boxes that are for electrical stuff. Well my neighbor ran her car into it. Bam NO POWER! Seriously! I have no idea how she managed that.....it's 10 feet into my yard. So I didn't get my pictures edited that I wanted to. I did however manage to take a nap with the baby, enjoy peace and quiet with the tv off (that was a blessing), and get a foot rub from the hubby. So, it wasn't so bad without power. Ok....let's talk cookies. These cookies are very simple. So simple that anyone can make them. Really they're that easy. Wanna learn how? First outline heart with white royal icing and a #2 tip. 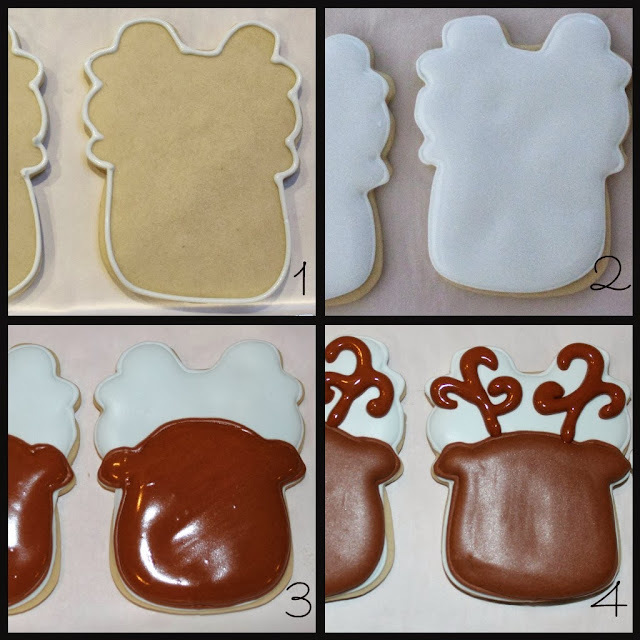 Fill cookie with white flood icing. While icing is still wet, drop black sprinkles onto cookie. I used some flat ones from a Halloween set of sprinkles. You can get them here. If you have pre-made royal icing hearts you can add one while icing is wet. If not, wait until cookie is dry and pipe one on with a #2 tip and red royal icing. That's it. Easy as can be. I hope y'all have a fabulous Monday. What are your weekend plans? Any Superbowl parties going on? We aren't doing too much this weekend. We may or may not watch the game on Sunday. .....heck they'd be good for anything. Cute cookies go with everything....right? Roll out your dough and cut out mini football shapes. I used the tiny cutter that came with my copper Mardi Gras Mask cutter. Bake and allow to cool. Decorate the footballs. You can see my tutorial on decorating the footballs here. Place a dab of thickish royal icing in center of cookie. Add football cookie and place a balled up piece of foil in front and back of cookie. This is a very sophisticated method....haaa. With a #2 tip and green royal icing outline cookie. Flood cookie with green royal icing. Let dry several hours. Add yard lines with white royal icing and a PME 1.5 tip. Let dry. Hope everyone has a fabulous weekend surrounded by loved ones.